Residential rents and sales prices in Dubai, which continued to drop in 2016, are expected to begin increasing in mid-2017, according to consultancy Knight Frank. Sales prices in the mainstream market dropped 5 per cent in 2016 compared to 7 per cent in 2015, while prices in the prime residential market declined 4 per cent in 2016 versus 5 per cent in 2015, the report found. “Despite the annual dip in prices however, the REIDIN sale price indices remained flat on a monthly basis since August 2016. This leads us to believe the residential market is reaching its cyclical trough,” it stated. “We expect the residential property market in Dubai to gradually recover in 2017 with a potential uptick in sale prices and rents from mid-2017 onwards. “Government commitment to spending on infrastructure and facilities, along with the realisation among developers for the need to phase out projects in line with demand, lead us to believe the real estate market in Dubai has become more mature and resilient,” it added. Over the next five years and as Dubai prepares to host Expo 2020, further government spending is expected to boost the market and provide a positive sentiment to investors. 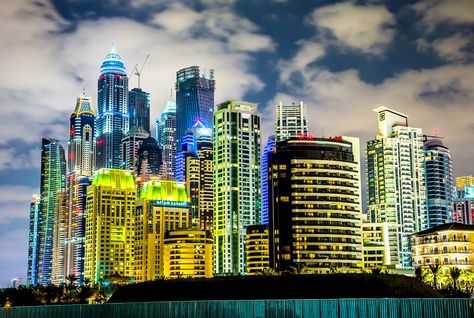 International corporates are also expected to expand their commercial activity, using Dubai as a regional hub, prompting demand for office space and more residential properties, Knight Frank forecast. In Dubai, while international occupiers remain committed to the region, they have chosen to restructure rather than expand their operations, it said. Office rents across Grade A spaces in Dubai remained relatively stable. They continued to see high occupancy rates because of limited availability of “good quality stock” in freezones and around developed amenities and infrastructure. Meanwhile Grade B rents in secondary locations dipped as landlords struggled to attract and retain tenants. “The commercial market in Dubai is expected to pick up in 2017 as businesses settle to the new norm in oil prices. We expect bluechip occupiers (who had put real estate decisions and plans on hold in 2016) to plan for a more active business cycle,” Knight Frank said. “However any potential upside in rental values is expected to be offset by the delivery of new Grade A space. Meanwhile rents in Grade B buildings are expected to see marginal declines over the same period,” it added.